The Yemen 32 years of dictator Security forces fired bullets and tear a nerve gas at protesters yesterday, wounding at least 100 people killing unknown number of protesters camping out near Sana University. The day’s violence was the latest evidence that month long protests demanding the resignation of Yemen’s longtime dictators were spiraling out of control. Embattled President Ali Abdullah Saleh has resorted to increasingly violent tactics to try to put down the burgeoning uprising against his dictatorial rule, deploying dozens of armed supporters on the streets in an attempt to intimidate protesters. Wielding clubs and knifes, police and regime supporters — described by protesters as government-sponsored thugs — attacked activists. 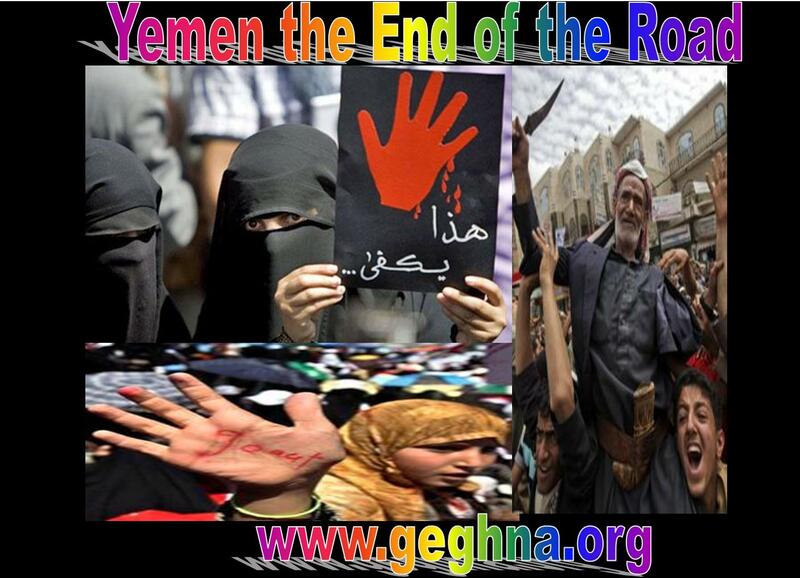 Yemen would go soon worst than Libya lading to the split of the country into north and South once more. Among the wounded yesterday, more than 20 suffered gas inhalation, and one was in critical condition after being struck with a bullet. In the main square and in surrounding streets, people being beaten up and threatened, as well as disappearing. The violence came a day after security forces killed seven demonstrators in protests around the country. Young activists camped out in the square near the university continued to expand the area of their sit-in and threatened to march on the presidential palace about 3 miles away. Rock-throwing battles between protesters and security troops broke out on the edges of the encampment. Protesters said the authorities were trying to draw them into a cycle of violence to further justify a crackdown. Yemen Arabian Flex the 3rd front:- “Al-Qaeda is back to its berceau ” while crossing Atlantic !!! Al-Qaeda in the Arabian Peninsula, the wing of al-Qaeda operating in Saudi Arabia and Yemen, is led by a Yemeni who was once a close aide to Osama bin Laden. The group, which has been gaining strength in recent years, represents units from the two neighbouring countries which merged under the leadership of Nasir Wuhaishi in January. Wuhaishi, who’s appointment was confirmed by Ayman Al-Zawahiri, the deputy al-Qaeda chief, in a video posted online, numbers among Saudi Arabia’s most-wanted. In 2006, he was one of 23 al-Qaeda figures who escaped from a Yemeni prison. The group’s deputy leader is believed to be Said Ali al-Shihri, a former prisoner at the United States’ Guantanamo Bay detention facility, who was released from Saudi custody in 2007. Abu al-Hareth Muhammad al-Oufi, another former Guantanamo detainee, has also been identified as a field commander for the group. Experts say that al-Qaeda in the Arabian Peninsula comprises several hundred fighters. The group is said to have found sanctuaries among a number of Yemeni tribes, particularly in the eastern provinces. ‘Strategic significance’ Analysts say Yemen is of huge significance to al-Qaeda. The al-Qaeda affiliate has claimed responsibility for an attempted attack on a US aircraft in Detroit on Christmas day, saying it was in response to raids in Yemen that it says were carried out by US jets, and had caused civilian deaths. Wednesday, December 30, 2009 The Nigerian accused of trying to blow up a Detroit-bound airliner had his suicide mission personally blessed in Yemen by Anwar al-Awlaki, the Muslim imam suspected of radicalizing the Fort Hood shooting suspect, a U.S. intelligence source has told The Washington Times. The intelligence official, who is familiar with the FBI’s interrogation of Umar Farouk Abdulmutallab, said the bombing suspect has boasted of his jihad training to the FBI and has said it included final exhortations by al-Awlaki. “It was Awlaki who indoctrinated him,” the official said. “He was told, ‘You are going to be the tip of the spear of the Muslim nation. '” Al-Awlaki, an American-born imam who once led a large Northern Virginia mosque but now lives in Yemen, has gained notoriety in recent months because of his influence on Maj. Nidal Malik Hasan, a U.S.-born Muslim accused of killing 13 people at the Texas military base. Rep. Peter Hoekstra of Michigan, the top Republican on the House Permanent Select Committee on Intelligence, said he has learned of personal ties between Abdulmutallab and al-Awlaki, though he said he could neither confirm nor deny that the two men had been in the same Yemeni prayer room. “From what I’ve heard, the relationship would have been closer than what Awlaki had with Hasan,” Hoekstra told The Times. “He trusted [Abdulmutallab] more.” Muhammad ud-Deen via AP ———————– US Opens Third Front Of War: Yemen Joe Weisenthal | Dec. 27, 2009, 11:14 PM | 1,450 | 4 The return of terrorism to the US — it really doesn’t matter that the attempt to blow up a DC-bound flight actually failed — is bringing us very close to the days of the so-called “war on terror”. Though the term has been banished by the Obama White House (and thus by extension the mainstream media outside of Fox News), tonight the New York Times is actually talking about the US widening the terror war, this time to Yemen, where Al-Qaeda remains strong. In the midst of two unfinished major wars, the United States has quietly opened a third, largely covert front against Al Qaeda in Yemen. A year ago, the Central Intelligence Agency sent many field operatives with counterterrorism experience to the country, according a former top agency official. At the same time, some of the most secretive Special Operations commandos have begun training Yemeni security forces in counterterrorism tactics, senior military officers said. Immediately after 9/11, everyone knew that the center of the terror world was Afghanistan, even if it took some time to put the pieces of the world together. While Afghanistan is a total mess, we’re pretty sure that there are few forces in the country organized to pull off an attack on US soil. But this time, after the Detroit attack, Yemen was the first country that was identified. The enemy is scattered and disorgnized in one place, and yet organized and capable of attacking (kind of) in another. The call for over 30,000 more troops to be sent to Afghanistan is a travesty for the people of that country who have already suffered eight brutal years of occupation. It is also a harsh blow to the US soldiers facing imminent deployment. As Barack Obama, the US president, gears up for a further escalation that will bring the total number of troops in Afghanistan to over 100,000, he faces a military force that has been exhausted and overextended by fighting two wars. Many from within the ranks are openly declaring that they have had enough, allying with anti-war veterans and activists in calling for an end to the US-led wars in Iraq and Afghanistan, with some active duty soldiers publicly refusing to deploy. This growing movement of military refusers is a voice of sanity in a country slipping deeper into unending war. The architects of this war would be well-advised to listen to the concerns of the soldiers and veterans tasked with carrying out their war policies on the ground. Many of those being deployed have already faced multiple deployments to combat zones: the 101st Airborne Division, which will be deployed to Afghanistan in early 2010, faces its fifth combat tour since 2002. “They are just going to start moving the soldiers who already served in Iraq to Afghanistan, just like they shifted me from one war to the next,” said Eddie Falcon, a member of Iraq Veterans Against the War (IVAW), who served in Iraq and Afghanistan. “Soldiers are going to start coming back with Post-Traumatic Stress Disorder (PTSD), missing limbs, problems with alcohol, and depression.” Many of these troops are still suffering the mental and physical fallout from previous deployments. Rates of PTSD and traumatic brain injury among troops deployed to Iraq and Afghanistan have been disproportionately high, with a third of returning troops reporting mental problems and 18.5 per cent of all returning service members battling either PTSD or depression, according to a study by the Rand Corporation. Marine suicides doubled between 2006 and 2007, and army suicides are at the highest rate since records were kept in 1980. Resistance in the ranks US army soldiers are refusing to serve at the highest rate since 1980, with an 80 per cent increase in desertions since the invasion of Iraq in 2003, according to the Associated Press. These troops refuse deployment for a variety of reasons: some because they ethically oppose the wars, some because they have had a negative experience with the military, and some because they cannot psychologically survive another deployment, having fallen victim to what has been termed “Broken Joe” syndrome. Over 150 GIs have publicly refused service and spoken out against the wars, all risking prison and some serving long sentences, and an estimated 250 US war resisters are currently taking refuge in Canada. This resistance includes two Fort Hood, Texas, soldiers, Victor Agosto and Travis Bishop, who publicly resisted deployment to Afghanistan this year, facing prison sentences as a result, with Bishop still currently detained. “There is no way I will deploy to Afghanistan,” wrote Agosto, upon refusing his service last May. “The occupation is immoral and unjust.” Within the US military, GI resisters and anti-war veterans have organised through broad networks of veteran and civilian alliances, as well as through IVAW, comprised of Iraq and Afghanistan veterans. This organisation, which is over 1,700 strong, with members across the world, including active-duty members on military bases, is opposed to the wars in Iraq and Afghanistan and openly supports GI resistance. “Iraq Veterans Against the War calls on Obama to end the war in Afghanistan (and Iraq) by withdrawing troops immediately and unconditionally,” wrote Jose Vasquez, the executive director of IVAW, in a December 2 open letter. “It’s not time for our brothers and sisters in arms to go to Afghanistan. It’s time for them to come home.” No clear progress GI coffee houses have sprung up at several military bases around the country. In the tradition of the GI coffee houses of the Vietnam war era, these cafes provide a space where active duty troops can speak freely and access resources about military refusal, PTSD, and veteran and GI movements against the war. “Here at Fort Lewis, we’ve lost 20 soldiers from the most recent round of deployments,” said Seth Menzel, an Iraq combat veteran and founding organiser of Coffee Strong, a GI coffee house at the sprawling Washington army base. “We’ve seen resistance to deployment, mainly based on the fact that soldiers have been deployed so many times they don’t have the patience to do it again.” As the occupation of Afghanistan passes its eighth year, with no clear progress, goals that remain elusive, and a high civilian death count, this war is coming to resemble the Iraq war that has been roundly condemned by world and US public opinion. The never-ending nature of this conflict belies the real project of establishing US dominance in the Middle East and control of the region’s resources, at the expense of the Afghan civilians and US soldiers being placed in harm’s way. The voices of refusal coming from within the US military send a powerful message that soldiers will not be fodder for an unjust and unnecessary war. By withdrawing their labour from a war that depends on their consent, these soldiers have the power to help bring this war to an end, as did their predecessors in the GI resistance movement against the Vietnam war. And the longer the war in Afghanistan drags on – the more lives that are lost and destroyed – the more resistance we will see coming from within the ranks. Sarah Lazare is an anti-militarist and GI resistance organiser with Dialogues Against Militarism and Courage to Resist. She is interested in connecting struggles for justice at home with global movements against war and empire. The views expressed in this article are the author’s own and do not necessarily reflect Al Jazeera’s editorial policy. A group calling itself Al-Qaeda in the Arabian Peninsula has said it was behind the failed attempt by a Nigerian man to bomb a US aircraft on Christmas day. The group said in statements posted on the internet on Monday that the attempt had been carried out to avenge US operations in Yemen. “We tell the American people that since you support the leaders who kill our women and children … we have come to slaughter you [and] will strike you with no previous [warning],” the statement said. “Our vengeance is near.” The group had earlier said in comments posted on a website that it would take revenge against the US over air raids in Yemen that it claims killed about 50 people. Failed attack Umar Farouk Abdulmutallab is accused of trying to to light an explosive device while on a flight from Amsterdam to Detroit. He was overpowered by passengers on the flight, which had nearly 300 people on board. Al Jazeera talks to a former CIA agent about the growing threat facing air travel ————————————– The explosive material was allegedly sewn into his underwear. Al-Qaeda in the Arabian Peninsula said it had provided Abdulmutallab with the device, but that a technical fault prevented it from detonating. Abdulmutallab, who suffered burns in the incident, was moved from a hospital to a federal prison west of Detroit on Monday. 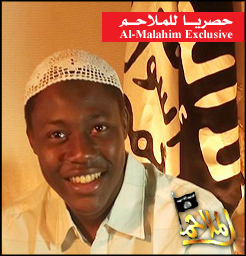 Janet Napolitano, Obama’s senior security official, said there was “no indication” Abdulmutallab was acting as part of a larger plot and warned against speculating that he had been trained by al-Qaeda. According to The New York Times, Abdulmutallab told FBI agents he was connected to an al-Qaeda affiliate, which operates largely in Yemen and Saudi Arabia, by a radical Yemeni cleric whom he contacted online. ‘Nothing suspicious’ The Yemeni government said on Monday that Abdulmutallab had lived in Yemen from August to December after obtaining a visa to study Arabic there, but that there was “nothing suspicious about his intentions” to visit the country. “Authorities are currently investigating who he was in contact with in Yemen and the results of the investigation will be delivered to those concerned with investigating the terror plot in the United States,” a statement from the Yemeni foreign ministry said. Ali al-Ahmed, the director of the Institute for Gulf Affairs in the US, said that the attack had similarities with other operations carried out by Al-Qaeda in the Arabian Peninsula, a relatively new branch of al-Qaeda formed in 2008. “It has carried out several operations – about a year ago against the US embassy in Sanaa, a failed attempt on the Saudi assistant minister of the interior in September. “In this case, the age of the suicide bomber who tried to kill the Saudi assistant minister – 23 years old – [is] the same age as this young man, Abdulmutallab. And the same explosives [were used]. “In the first attack in Saudi Arabia, the attacker put the bomb inside his body to conceal it. This is very similar.” Security review Abdulmutallab, a former student in London, was added to a watch-list of about 550,000 names last month after his father told US embassy officials in Abuja that he was concerned by his son’s increasing radicalism. Yemen the first open battleground in the war for the new middle east order! ___________ emen as you know is a strategic Middle East nation. where Osama Bin Laden’s father was born. I know that in 2000, al-Qaeda bombers attacked the USS Cole in the southern Yemini city of Aden killing 17 American sailors. Since, militants have attacked U.S. missionaries, foreign tourists and Yemeni security forces. Last year gunmen targeted the American embassy with a car bomb and rockets. The attack killed 16, including six assailants. There is a lot of activity there that has been attributed to Al Qaeda and their interests. I was surprised to learn that Yemen is Middle East nation, where Osama Bin Laden’s father was born. Knowing all that you know my focus has been on Iran’s interference in Yemen as they try to install Shiite dominance there and everywhere else in the middle East. Yemeni air strike kills 30, targets home of cleric linked to Ft. Hood attack Factbox: Who is Anwar al-Awlaki? As many of you know by now my prime concern in Yemen was the interference by Iran in trying to get Shiite dominance there. Bush freed Iran up to pursue her version of new middle East order by interfering wherever she could while Bush was doing the same thing with his Middle East Democratization program. The goal now absolutely is to be the country who decides which direction the new Middle East (dis)order will take. Bush started it by attacking Iraq to get into the middle east to destabilize it and start the new middle east order the idiot said God told him to do now it will be up to Iran and Saudi Arabia at least up front fight it out whether this goes the Iranian Shiite way or the Saudi Arabian Sunni way and do not forget Israel! In Yemen once again the Iranian Revolutionary Guard is the instigator. They are ferrying weapons through Eritrea to Yemen. They are now avoiding the Arabian Peninsula as Saudi Arabia has instituted a blockade along the coast of Yemen. Iran’s Revolutionary Guard has also transported Lebanese Hezbollah fighters to fight with the rebels. As you know, Saudi Arabia is also there fighting the Iranian backed Houthi rebels. So far there has been no direct confrontation. However I absolutely see what I have been warning about since Bush diverted from Afghanistan to attack Iraq and get back in the middle east to create a new middle east (dis)order! This is going to bea total middle east war for a new midle east oirder like it or not, Sunni against Shiite. It is looking like Yemen is going to be the first country down! Please watch the video, the Middle East is right to be concerned. Yemen is going through severe domestic turmoil due to the violent activities of Al Qaeda, Houthi rebels in the north and the Southern Movement in the south. The remaining Jews are threatened with slaughter by the Shiite. How much longer can Yemen hold on? What is next? James Joiner ———————– Yemen’s Jews. The End!!! History will record that 2,500 years of Jewish life in Yemen is now over. As The Wall Street Journal reported October 31, the US State Department has completed a clandestine operation which brought 60 of the country’s remaining Jews to America. The newspaper quoted Yeshiva University’s Hayim Tawil, a Yemeni Jewry expert, as issuing the certificate of death: “This is the end of the Jewish Diaspora of Yemen. That’s it.” As Israelis and Jews we earnestly appreciate the efforts of the Obama administration on behalf of our Yemeni brethren. THE RESCUE illuminates an often overlooked aspect of the 60-year-plus Arab-Israel conflict. Whereas the Arab world has purposefully maintained the 700,000 or so Palestinian Arabs made homeless in the course of the 1948 war and their descendants as permanent refugees and political pawns, the State of Israel and world Jewry have worked hard to resettle a roughly equal number of Jewish refugees forced to flee Arab lands. The behavior of Arab leaders toward their Jewish subjects after the creation of Israelwas (with notable exceptions) characterized by scapegoating and marginalization culminating in mass exodus. In 1947, Arab rioters in Aden killed dozens of Jews to protest a two-state solution in Palestine. In 1949 and 1950 the bulk of Yemen’s Jews, some 49,000 souls, were airlifted here in “Operation Magic Carpet.” The broad Arab refusal to accept the legitimacy of Israel as a sovereign Jewish state is partly attributable to Arab attitudes toward their Jewish minorities. Coexistence was possible – so long as Jews knew their place. JEWISH life under Muslim rule was historically neither the utopia Arab propagandists claim nor the purgatory Jewish polemicists assert. As the doyen of Middle East studies Bernard Lewis wrote in The Jews of Islam, the actual state of affairs varied depending on the era, locale, political and economic conditions, the stability of the ruling Islamic regime, and on developments within the Jewish community. Jews were granted Dhimmi or tolerated status. They paid a special jizya tax to underscore their subordinate position in society. If they missed the point, Islamic tradition allowed for the local Muslim authority to deliver a ceremonial slap on the neck to the Jew upon payment of the levy. Jews were required to wear distinguishing clothes; they were expected to deport themselves deferentially in the presence of Muslims. And unlike everyone else, Jews were not permitted to carry weapons. On the other hand, Lewis wrote, Jews were not required to convert to Islam, and could enjoy a high degree of acculturation. (They were certainly better off than their coreligionists living under medieval Christendom.) At any rate, this social contract crumbled in part because the Zionist movement was a direct assault on the Dhimmi principle. The Yemen experience also reminds us that the Arab world’s antagonism to modern values has led it to extended periods of internal instability as well a visceral rejection of Israel for embodying the Western liberal idea. POLITICAL instability is always “bad for the Jews,” and Yemen has long been a volatile mess. The ancestral homeland of Osama bin Laden is burdened by internal strife, poverty and a dysfunctional regime. The north and south (where the oil is) are at odds. The secular-oriented government of Ali Abdullah Saleh, a Shi’ite, is corrupt and undemocratic. He is battling an insurrection by Shi’ite religious extremists who were once his allies against fanatical Sunnis. Extremist Sunnis, supportive of al-Qaida, are also battling the regime and attacking Western targets. Yemen has a Sunni majority with a large Shi’ite minority. On top of all this, there are also tribal tensions; the president’s tribe dominates the security services. 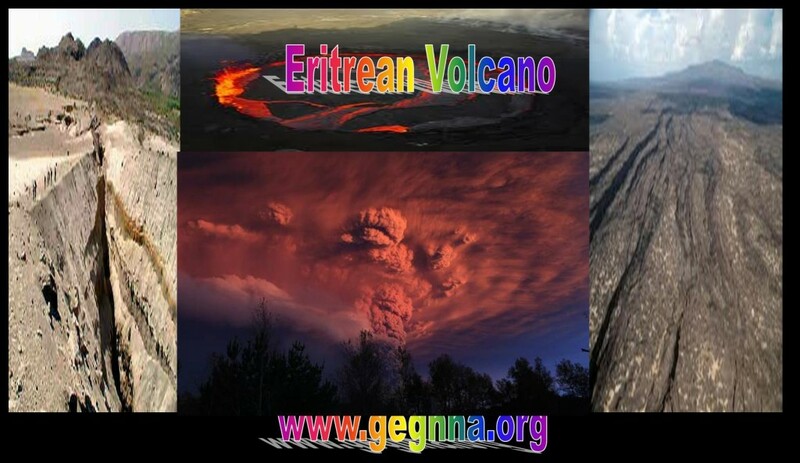 But the Yemeni masses were able to put some of these differences aside during Operation Cast Lead… and attack the Jews. With few friends, Yemen’s president sought to stay in Washington’s good graces by trying to protect the besieged remnants of Yemeni Jewry. AS THE saga of Yemen’s Jews now comes to a close, our thoughts are also drawn to Israel’s treatment of its Arab minority. Any one of 10 Arab Knesset members could persuasively argue, Jewish Israelis have nothing to be smug about. Yet if they were fair minded, they might grant that the Jewish state has done a comparatively decent job in bringing its minority citizens into the mainstream.